For those of you that know me, I have been living and working in France for many years and know that I am passionate about helping people, whether that be in business or with their administrative frustrations like carte vitale’s. Yes, I like challenges and love finding solutions. One of my key passions is business, in all its forms ! What I say to all of my business customers, is maybe we should look at how this could be avoided? What can be put in place to avoid being surprised by these charges? If you are determined about living and working in France and about the success of your business, then plan. If you plan correctly for your social charges, they shouldn’t be such a shock and although slightly painful, you will be prepared that URSAFF or RSI ‘appel de cotisation’. Yes it’s expensive but then the social system in France is very good. You pay for what you get or at least for the option to use it. Let’s look at some of the business planning and some key questions to ensure you are moving in the right direction. A business plan. Yes I know, I’m sure you all have one (somewhere in the bottom of your draw or on your hard drive somewhere that you can’t find). Often it’s made and then left and not revisited. 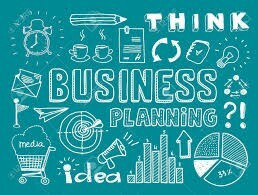 Every business should have a business plan otherwise how can you know which business structure would be suitable and if your business is viable? The business plan is basically a series of questions that you need to answer before you launch your business. It says what it is, a plan. It shows what your plan is in order to meet your business objectives, and it should start with your vision. It needs to be written down and it needs to be visited on many occasions. This business plan is essential for understanding your mission, objectives, financial goals & costs. Knowing what business structure you should implement in France will be decided based on this plan. The social charges can be simulated if you know your financial goals & costs! So no huge surprises, you will be prepared. If you would like help with some of the questions, let me know, I have about 100 of them up my sleeve so you won’t be bored! Throughout the different phases of your business you will need to ensure that your growth is measured. This also needs to be planned. Do you really have the time and resources to effectively build the business you want? You will need to look back at the previous year and decide what needs to be changed or implemented to meet your goals. Do you have the right team in place? Do you have the correct systems? Again, it’s all about the questions, make sure you ask them and then you will avoid any unexpected surprises! Ensuring that as you grow and evolve that you have the correct business set up is important and again this involves planning. Do you know where you want to be 1 year from now, 3 years from now? Do you have a vision for your business? Do you have your sales broken down by product, customer segment? Know what you want, what is your motivation and real purpose is and then plan for this, yearly, monthly, weekly and daily. I hope you have found these tips useful and please let me know if I can help you in any way with your business planning or creation.